I hate this new wave of "Lets build environmental things over the countryside" stuff. Eco towns, turbines and "green" powerlines are nothing but a rebranding of the motives of greedy profit seeking people. Until all the the town folk have seen the beauty of this landscape they will not realise what a huge crime is being commited here. I couldna agree more. I'm afraid I've written off this country a couple of years ago, when it became clear the SNP were going down the same route as Labour. Like you, I'm at a loss to explain how 'so-called environmental groups' are siding with the developers. The surprise, however, evaporates, when you learn how much money FOE, Greenpeace and other like-minded organisations are getting from the government and from Europe, both firmly committed to plastering the hills with turbines. The once 'green' campaigners are doing SO well out of government grants that they cannot but put their mouth where their money is. That is the sad reality. Of the many bitter pills to swallow one is that what is happening now is exactly what people opposed to wind factories were saying 5-7 years ago: that the only way to make them viable in terms of energy production was to have thousands and thousands of them spread over a very wide area. We were accused of scare-mongering. We've been proven right. The number of projects that have already been approved and the ones that will follow hard on the heels of the Beauly-Denny approval will indeed cover most of Scotland. 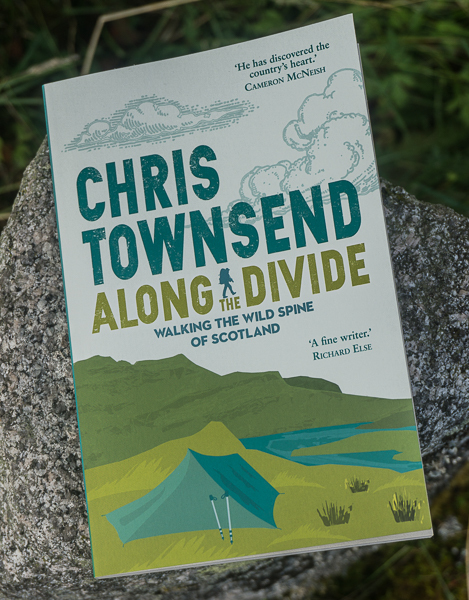 There won't be a single Munro in the country from which you won't be confronted with the sight of at least one plant. They say the plants will come down without leaving any trace as soon as we find alternative sources of energy. What they don't say is a) who will pay for their removal, IF it comes to that removal; b) how exactly will thousands of tonnes of concrete per turbine be removable without trace? And finally, a sobering fact, which makes the SNP stance all the more incomprehensible: Scotland is *already* self-sufficient in terms of energy produced via renewable sources (if, as one should, hydroelectrics is taken into account). The vandalism that the Holyrood government is now sanctioning is *entirely* for the benefit of English MPs. Westminster will get its targets, it will get its token gesture politics done without upsetting Middle England. I struggle to see a difference between selling your country for English votes and fill up our hills with turbines or selling it to fill it up with sheep like it happened with the Clearances. It would be nice if this decision could be blocked by appeal to European directives on the preservation of the environment. But we know the game is loaded in one direction only. And yes, when I read your report about your night out in Glen Feshie I was thinking exactly the same thing. Me, I'm selling my tents and won't ever again drive up North. From now on, I'll try my utmost best to increase my carbon footprint. Holidays abroad in sunny climes from now on. And not a turbine in sight. This is the greatest shame. That the environmental movement and its causes have now been hijacked by damaging power companies, who will excuse anything in the name of fighting global warming. That some of the so-called green movement is aligning itself with them is indefensible and unforgivable. That the government hasn't got the balls to stand up to them is understandable - government of this country is gradually being handed to major corporations, as services are privatised, goverments run out of money, and career politicians realise that they can't run the country and claim their expenses at the same time. They've prioritised - and our environment isn't even near the top of the list. I couldn't agree more, Chris. Vandalism is exactly what it is. It saddens me that a SNP government is going ahead with this, especially as i know of a few SNP MSP's who are hill-walkers themselves. I had high hopes for this government regarding land issues but they seem to have become fixated on the whole 'renewables' issue, no matter the cost to the land itself. A black day for Scotland, and the SNP should hang their heads in shame. Reference: friends of the Earth etc, the old saying "power corrupts" has never been more apt. What is the RA's take on it Chris? Thanks for your comments folks. Please support those organisations who are fighting this and the spread of wind farms, hydro etc. 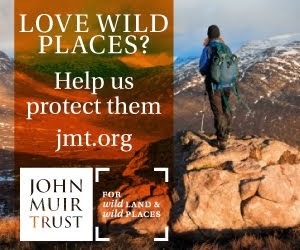 John C, the Scottish Ramblers are completely opposed to this and members of the Beauly-Denny Landscape Group. I've come via Solitary Walker's blog. 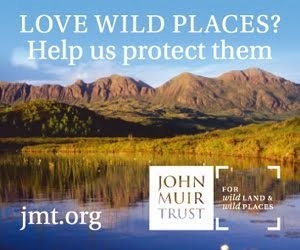 I love how blogging can be used to spread important issues around the world - greed driving the destruction of every single bit of 'wild' and untouched land, air and sea. Everything has to be owned and commodified. I've written about similar things happening here in Australia. Everything here seems to be turning into a massive highway, underground tunnel or monolithic dam etc.. I was just wondering what had happened to the super pylon proposal. It will be dismaying if the public enquiry turns out to have been a charade. Just the other day we saw the government sack one of their advisors, Prof. David Nutt, for speaking the truth. I expect that other government funded agencies are all too aware of the potential consequences of challenging the official line. The most ridiculous thing about all of this 'renewables' arguement is that it is based on the mistaken premise of Global Warming and the link to so-called geenhouse gases. In fact the rise Greenhouse gases does not correlate at all well with global warming. This is big business's big stick to hit governments over the head so that they can get even greater subsidies to create energy and their wealth. The media has fallen for it hook, line and sinker. Alan, I have to say I disagree with you here. Scientists have been talking about climate change for many years, long before politicians or business caught on to it. And most of the anti climate change movement comes from big business. The vast majority of scientists in fields studying the climate agree climate change is happening. Now, I'm not an expert in the field so when the vast majority of experts say something is so it seems to me sensible to accept it. I think politicians, under pressure from scientists, want to be seen to be doing something without actually doing anything that big business doesn't like. So we get wind farms, visible signs of "doing something", but not much that will actually make any difference. 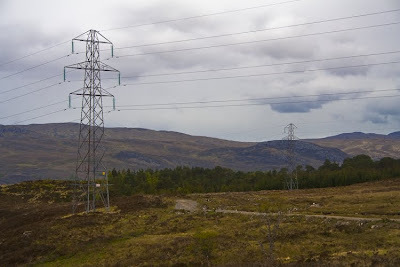 The Beauly-Denny power line is a big business project, designed to make money for the power company. Chris - Big business is in two camps - those wishing to profit from the renewables industry and those who would suffer as a consequence of money being ploughed into their competitors. Leaving them aside - the issue of 'global warming' is one that has been comprehensively hijacked by special interest groups. Most modern science has discredited the infamous Dr Michael Mann's 'Hockey Stick Graph' as based on flawed modelling and computer algorithms that would actually generate a 'hockey stick' even if the data input to be used were random telephone numbers. In subsequent reports Mann withdrew this flawed science but yet it is now firmly fixed in the public psyche that man made climate change is an estanblished fact of science, despite the fact that there is no scientific evidence for it. But the juggernaut grinds on as real science and real scientists are disregarded. It is interesting that no mention has been made in any news media of Dr Spencer's (the Science Team Leader for NASA's collection of satellite temperature data) conclusion in July 2008 that the earth's overall climate system damps down any small effect CO2 might have on temperature. For an informed account of what is actually happening rather than continued media misreporting, I would recommend reading Philip Foster's "While the Earth Endures"
Alan, of course some businesses will profit from renewables and climate change and some of them have no real interest other than profit. But without this nothing would get done. As far as I can see from my reading there is masses of scientific evidence for global warming. Indeed, it is due to this scientific evidence that politicians have started to take it seriously. The Royal Society and the Met Office both have good information on this. Undoubtedly there is scare-mongering, particularly by environmental groups who should know better, but this doesn't mean the science is wrong.